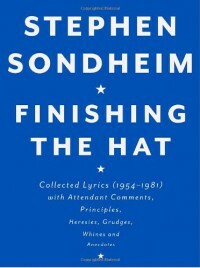 This is a book for die-hard Sondheim fans, budding lyricists or lyric aficionados only. With the lyrics to all his shows between 1954 - 1981 as well as many additional tidbits, this is a fascinating insight into the most talented man in musical theatre.Sondheim studies his own work and dissects his lyrics, as well as those of others in an open and rather frank manner. A simply superb insight into songwriting.